Immerse your home in a warming fragrance with this beautiful Pintail candle. An exotic mix of muget, clyclamen, jasmine, honeysuckle, tuberose, gardenia and orchid rest on a woody base of patchouli and sandalwood. Let the aromas gently diffuse throughout the room, leaving a distinctive and comforting atmosphere for all to relax in and enjoy. This larger Pintail Tin candle contains 3 wicks and will add a beautifully decorative touch to any room around the house. These delicate Pintail candles produce a burn time of approximately 18 hours and are hand produced within the UK. 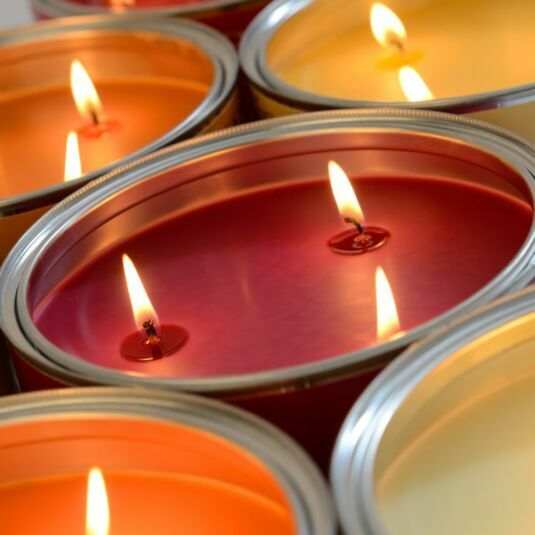 They come held within a tin enclosed pot with a paint pot style removable lid to keep the fragrance of the candle retained after every use.